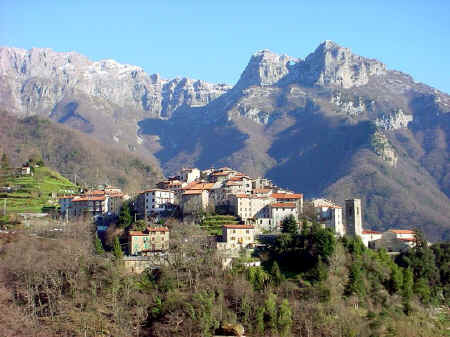 Garfagnana is a region of northern Tuscany located in the province of Lucca in the Apennines. It is one of the rainiest areas of Italy and is covered in large part by chestnut, oak and pine forests. It constitutes the northern part of the valley of the Serchio river between the jagged Apuan Alps, known for their high quality marble, and the rolling Apennines. Click here for a range of accommodation offered by Italy's most reliable online reservation agency. For your vacation rental in Chianti - stay at a winery or a country self-catering holiday apartment - it costs less than a hotel and is infinitely better fun. Check our Greve in Chianti agriturismo web site for everything you need to know about Chianti - places to stay, festivals, maps. The Garfagnana © ammonet InfoTech 2005 - 2018. All rights reserved.